Fourteen-year-old Philly native Jaeden Lieberher has kept his promise to keep acting, playing lead roles in several films. Jaeden Lieberher was 10 years old when he landed his first acting gig in a commercial. The commercial ended up airing during the Super Bowl, and Jaeden knew he wanted to keep pursuing his acting dream. Four years later, the South Philly native maintains the same sentiment, even though his acting chops have expanded far beyond commercials. 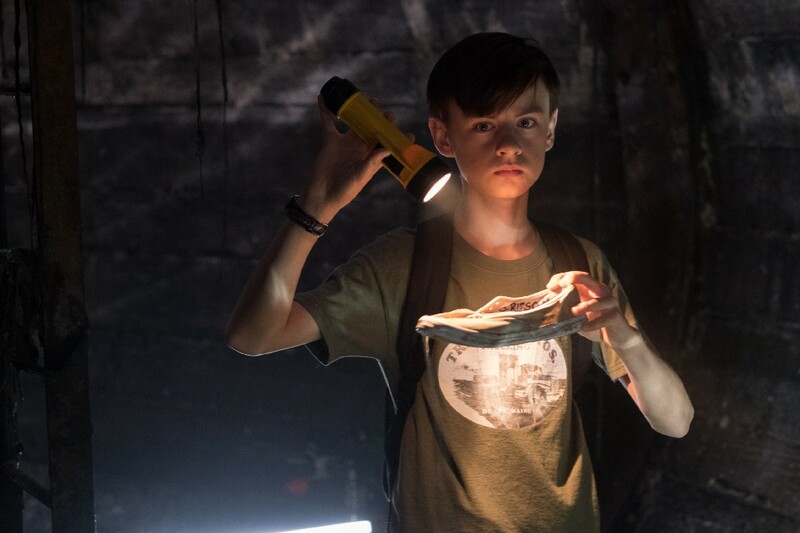 Now 14, Jaeden is set to lead in one of the biggest blockbusters of the fall. He is the star of It, a film adaptation of Stephen King’s classic horror novel that will be released on Friday. It’s his first blockbuster-leading role, but he already has 11 television and film acting credits to cram onto his resume. Ask him yourself, though, and he’ll say not much has changed since that initial interview. “I’ve hit puberty, that’s pretty much it,” he said with a laugh. Jaeden plays Bill Denbrough, who lives in the fictional rural town of Derry, Maine. In the film, Bill’s 6-year-old brother Georgie is claimed by Pennywise the Dancing Clown, an entity that lives in the town’s sewers and is able to take the form of any child’s greatest fear. Bill leads his friends in an investigation to take down Pennywise, all the while hoping to find his little brother. They may look identical, but Jaeden and Bill have vastly different backgrounds; Jaeden city-hopped from Philadelphia to Los Angeles when he was about 8 to pursue his acting career, and Bill is used to biking everywhere in his small-town home with his friends. Bill also speaks with a stutter. To approach the character, Jaeden had to find similarities. “Bill has a fear of losing his little brother, and I have a similar fear I’ll lose someone I’m close to,” he said. He was able to approach the role with that common fear in mind. “It helped me imagine what Bill is going through, so having a similar fear is how I related to him,” he said. Jaeden’s Georgie would be his mother. As for the stutter, Jaeden used YouTube to research how to speak with one, but quickly found there are no prevalent speech patterns. “It was difficult to find the balance of sounding real, and making sure it was noticeable,” he said. For someone his age, he’s already done quite a lot for his future. In 2014, he starred in St. Vincent alongside Bill Murray, Melissa McCarthy and Naomi Watts. For that role, Jaeden played a bullied kid whom Murray’s alcoholic war veteran character takes under his wing, for better or worse. That role also was big for Jaeden’s future. It earned him five award nominations for his performance, and he took home the prize in the Las Vegas Film Critics Society Awards’ Youth in Film category, and the Phoenix Film Critics Society’s Best Performance by a Youth category. It isn’t the only movie he’s played the lead role in this year. Earlier this year, he starred alongside Watts again in The Book of Henry, this time as an 11-year-old genius who concocts a plan to save the girl next door from being abused by her father. Acting keeps him busy, Jaeden looks forward to returning to the East Coast to visit family who still reside in Philadelphia. “I feel weird being there, because I never want to do the touristy things because I’ve lived there most of my life,” he said with a laugh. His favorite thing to do is go to restaurants and “see what’s new.” A relative owns Johnny Brenda’s, a bar in Fishtown, one of his favorite jawns. He said he misses Philly’s weather; his West Coast friends never heard of a snow day. As for the future, Jaeden’s approach is the exact same as it was when he first landed that commercial gig.